This keto tuna melt recipe uses tomatoes as the “bread”. Low carb tuna melts are comfort food without the heavy feeling and just as delicious. I have a love hate relationship with carbs. I love to eat them, but they either make me gain weight or prevent me from losing it. Some people can eat healthy carbs (oatmeal, brown rice, quinoa, and sweet potatoes) and still get rid of fat. But not me. I have to pretty much go super low carb to lose even a dang pound. Even if I am hitting the gym daily. It isn’t fair, but it is what it is. It’s what I have to work with! 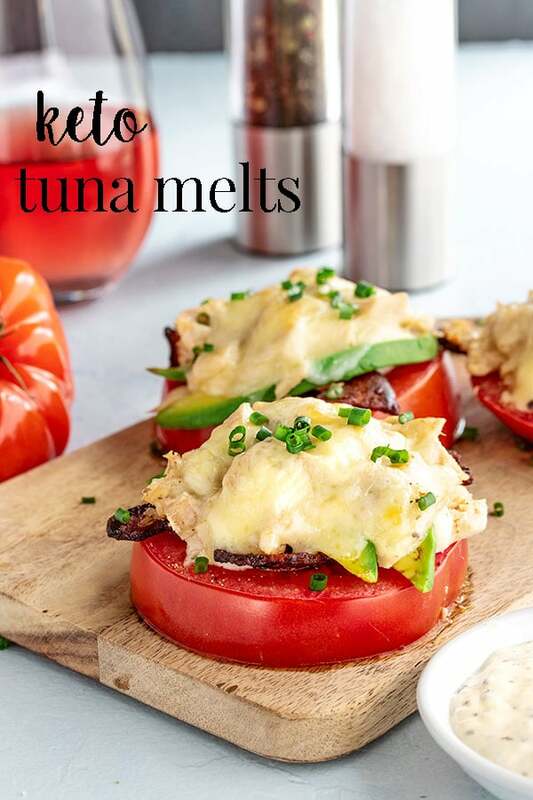 Luckly for me, I can still have my favorite tuna melt recipe made low carb just by using tomatoes as my bread. They are super easy to make and taste great! Add avocado to them, or pickles, or bacon, or all or any additions you want. I like my tuna melt with bacon and pickles. Debbie likes hers with avocado. Whatever floats your boat! I just love tuna melts, but I haven’t been eating them much lately because of the bread. Both because of the carbs and the gluten. I have made tuna melts without a bottom and in a bowl instead, but its just not the same. A tomato makes a really great substitute for bread in this recipe. 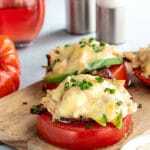 Tomatoes are healthy, low carb, and I like tomato on my tuna melt anyways. 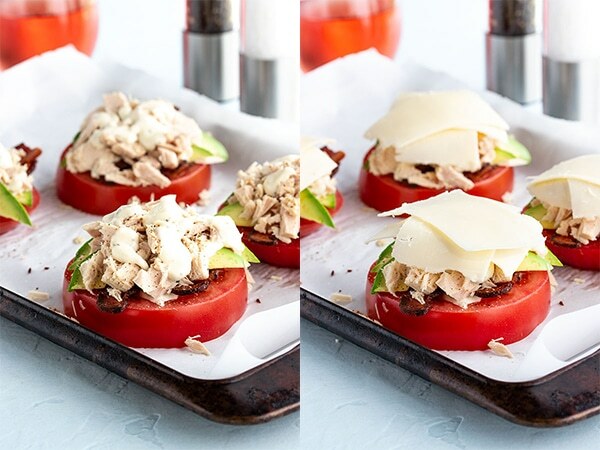 I cant believe I didn’t think of this keto tuna melt recipe sooner! My theory is that if I lose the bread, I can have more cheese. This is probably why I never seem to be able to lose those pesky last 10 pounds… C’est la vie. Ok fine, its probably the wine… I can give up bread, but just try to take away my wine! I dare you! 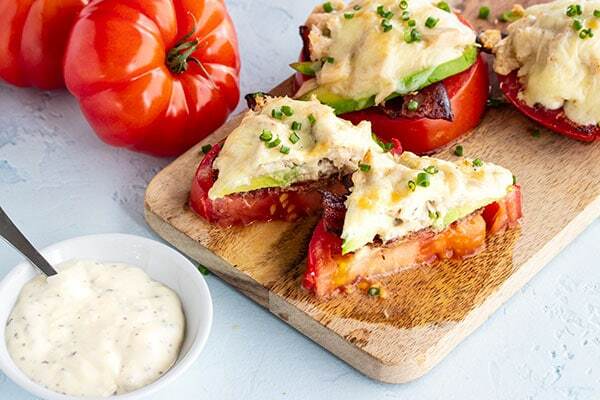 A tuna melt with creamy tuna on top of half a tomato draped in melted cheese. With or without a pickle! Heat your oven to 400 degrees. Slice the tomato in half and scoop out the seeds. You dont have to do this, but if you leave the seeds in, it can get runny. OR you can just use big slices of tomato. Open the can of tuna, scoop it into a bowl, add the mayo and the green onion. Stir to combine. Or you can just squirt the mayo on top too. 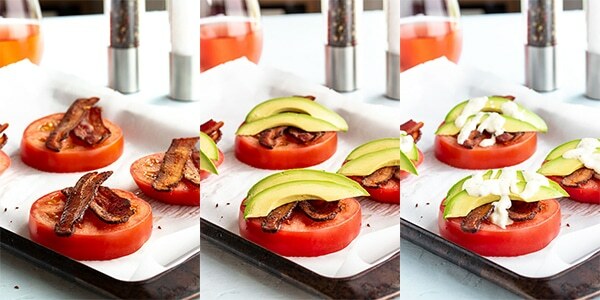 Place the tomatoes on a parchment lined baking sheet. Put half the tuna mix on each tomato half. Top each tomato half with pickle slices and then the cheese. Bake in the oven for about 15 mins or until cheese is melted and bubbly. Remove from the oven and serve right away. You can use any kind of cheese for this as long as it melts well. I just really like Gruyere and Cheddar. For an option, try a few slices of avocado instead of the pickle. Or try both! This is possibly the most tasty thing I’ve EVER made. Hi Alice! Thanks so much for the comment. 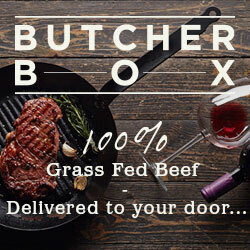 It really makes our day that you loved our recipe! Do you know the net carbs per servings by chance? Hi Angela, Ive updated the recipe card to show the nutritional value. Hope that helps! I was trying to figure out what to put my tuna melt on today and just put the tuna and cheese in a container, then microwaved it at work. Boring! Just saw this & it’s BRILLIANT! THANK YOU for posting!!! Awesome! Hope you love it. Ive got tons of tomatoes coming in my garden right now and I will be eating this LOTS this summer. So tasty! You don’t even miss the bread with this recipe! Thanks for sharing! Right? I dont for sure.